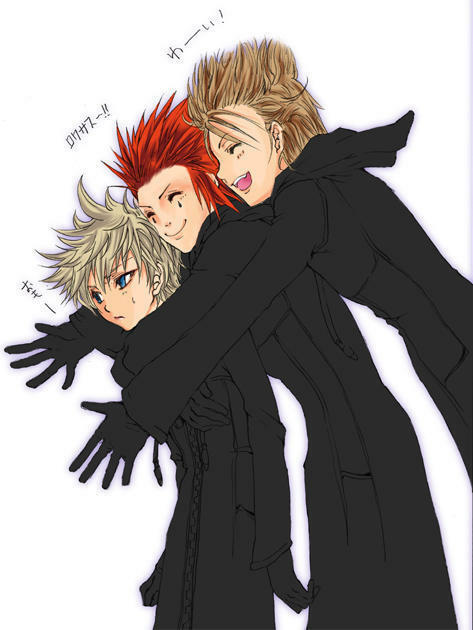 Roxas, Axel and Demyx. haha :D. Wallpaper and background images in the KH: Organization XIII club tagged: axel demyx buddies kh. i think Demyx is in real need of a hug. i love roxas in this pic!